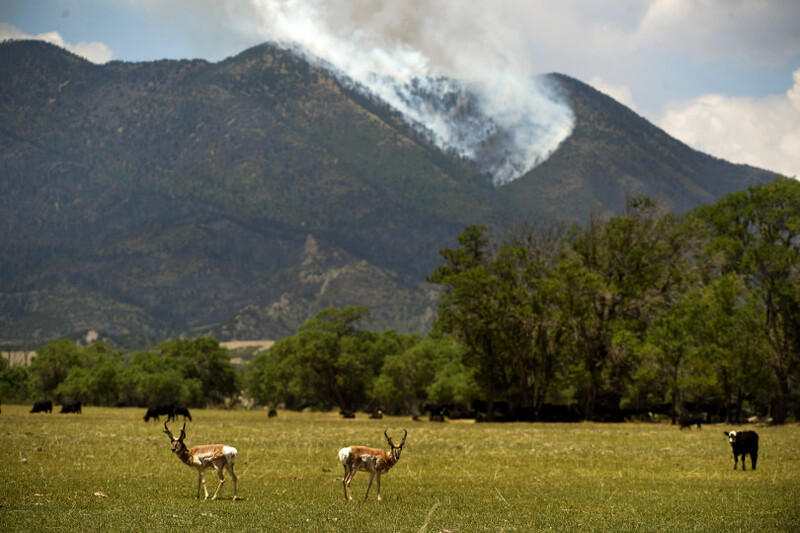 Pronghorn antelope share a field with cattle as the northern end of the Spring Creek Fire burns up a steep canyon on July 8, 2018 in La Veta, Colorado. The Spring Fire has now burned an area slightly larger than the city and county of Denver. The fire has burned 106,985 acres and currently stands at 55% containment. Bears are opportunists and constantly pursue a high calorie diet including acorns, berries, fruits, animal carcasses and young animals. Much of the bears’ food source has been lost to fire.